Pots and pans are the hardest workers in the kitchen. They are used in cooking the food. When they are not on the stove, they hold the food and later go through a lot of scouring and cleaning. The following are ways you can make these useful utensils serve you better and longer. Before using a pot or pan for the first time after buying it, wash the utensil with hot water, leave to dry and rub the inside with a small amount of cooking oil. This oil maybe vegetable oil, groundnut oil or olive oil. This rubbing of the pot or pan with oil prevents food stains as much as possible. Do not heat a pot or pan when it is empty. Always ensure you have oil or water in the pan before setting it on the stove. Always use the correct burner size for the pot. If the burner is bigger than the pot, this means too much heat for the pot or pan and causes the utensil to have more exterior stains. 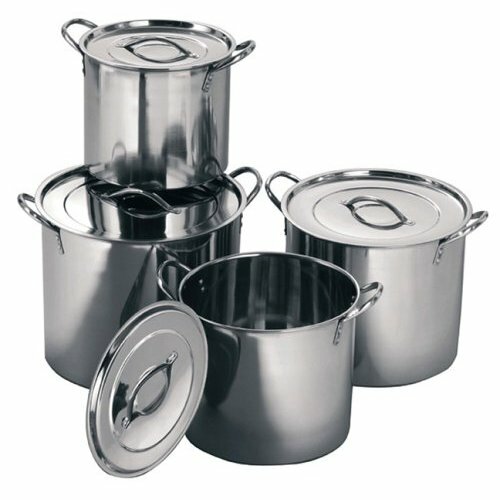 If the flames are going up the sides of the pot or pan (in the case of gas burners) or if you can see the red coils from the base of the pot (in the case of vitro ceramic burners), then there is a pot size and burner size mismatch. If you continue cooking this way, the handles of your pots and pans will fall off quicker than when you are matching the pot and burner size. One of the best ways to remove burnt food from a pot or pan is to pour enough water to cover the burn, add some dish washing liquid and bring to the boil. Allow to soak till the water has cooled down. The burnt food can then be easily washed off from the utensil. It is never advisable to remove burnt food from the inside of a pot or pan by scraping with iron sponge. This creates lines inside the utensil and makes it easier for it to burn food in the future. Always wash the inside of your pots and pans with a soft sponge. You may use the iron sponge for the exterior of the utensil only. Do not use pots and pans in the oven if their handles are made of wood or plastic. The obvious reason is that this will cause wooden handles to char and plastic handles to melt.